The bacteria in our gut determine how well we metabolize food. They tell our brains when we’re hungry or full. They modulate inflammation, heal leaky gut & play a central role in happiness & mood. Our diet has the most influence on the health of our friendly gut microbes. The effects of years of poor eating can be reversed in as little as just a 3-5 days - just by the beneficial effect food has on our gut bacteria. It begs the question then...how do we optimize the feeding of our gut microbes? Intermittent Fasting is a Powerful Strategy to Boost Healthy Gut Microbes. Time-restricted feeding is the form of fasting that I promote. Time-restricted feeding is the practice of eating within a set time-window each day. At a minimum, I restrict my eating within 12-hour windows (12-hour fasting). Optimally - we should keep our eating within 8-10 hours to promote gut health and longevity. This requires a 14 to 16 hour fast following your last meal of the day. Ex. If you finish eating at 8pm at night, your first calorie-containing meal or beverage the next day should be consumed at Noon the next day (8am at the earliest). The work on intermittent fasting shows you really only need to commit to the schedule as little as 5 out of 7 days of the week to be effective. You can also generally eat whatever you want within your 8-10 hours feeding time as well. You’re also not restricting calories during your eating hours. Of course, sticking to other metabolic secrets & principles of healthy, anti-inflammatory eating in those feeding time-frames will boost results more. For the purposes of this article, we'll just focus on the beneficial effects of keeping to an intermittent fasting schedule, preferably 16:8, meaning your fast for 16 hours and keep your eating window to 8 hours. It almost sounds too good to be true, yet it works. I personally have lost over 20 lbs over the last 1.5 years by following an intermittent fasting schedule - without giving up my foodie lifestyle. If this sounds impossible to you, start with a 12:12 schedule (12 hours fasting: 12 hours eating) just to dip your toes into the strategy, work up to 14:10 (14- hours fasting; 10 hours eating), and you'll quickly find that it's not any more difficult to extend to the preferred 16:8 strategy. Another strategy is to sip on something in that last 1-2 hours of your fast until you gain more experience. This could be a mix of lemon juice, cayenne and maple syrup like you see with Master Cleanse protocols. It might be some bone broth that you sip on. Or - seaweed snacks (choose the flavor made with olive oil, not sunflower oil) to hold you over until your fasting period is over. 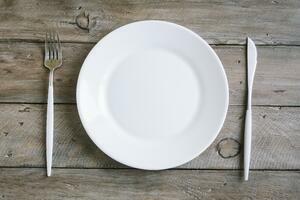 The craze over intermittent fasting has its roots in longevity research. Mice fed calorie-restricted diets live significantly longer. One of the most consistent and strongest pieces of evidence for longevity comes back to calorie restriction. 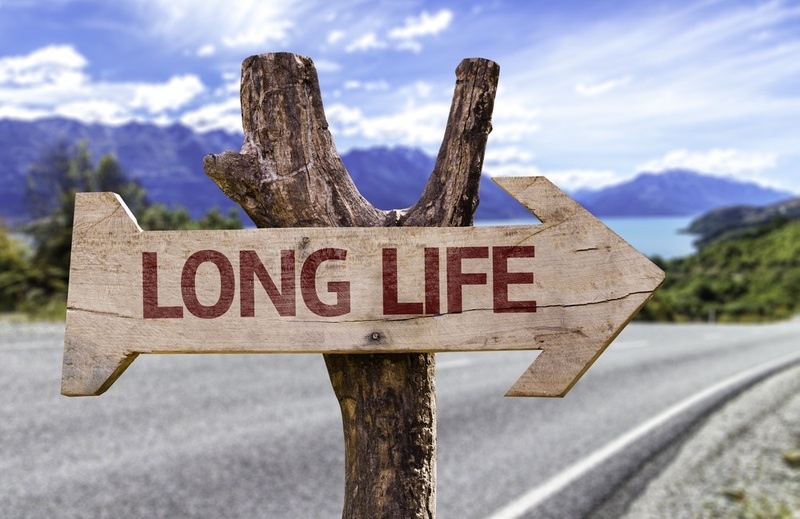 Researchers have been studying longevity for years. Calorie restriction was one of the few strategies that seemed to work with any repeatable statistical significance - yet was one of the strategies least likely to become accepted by the mainstream. Researchers began to dissect calorie restriction and look to the effects of various forms of fasting on the body. 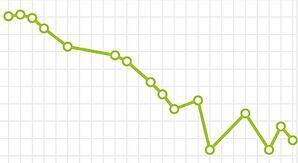 Intermittent fasting quickly rose to the top as a leading strategy. Hands down - Intermittent fasting is the best way to get the life-extending benefits of calorie restriction - while still enjoying a foodie lifestyle. In addition to the strong benefits for longevity, weight loss, cardiovascular disease, diabetes, & neurodegenerative disease - intermittent fasting has wonderful benefits for the gut. When the bacteria in the gut are finished processing our food. They stimulate our migrating motor complex (MMC) to evacuate the waste. The MMC is what causes those rhythmic waves to pass food and wastes through the intestines. When you fast for 16-hour periods, you optimize your motility - which means more efficient bowel regularity & evacuation of wastes. Motility improves feelings of heaviness, gas and bloating. Proper motility prevents intestinal bacteria from fermenting food too early in the digestive tract as seen in SIBO (small intestinal bowel overgrowth) - which promotes uncomfortable (and sometimes painful) bloating, gas and chronic constipation and/or diarrhea. The 24-hour cyclical clock is not just important for sleep. Many cell types have 24 hour cycles - including the gut. The gut functions best on a minimal 12 hour “feed” and 12 hour “rest” cycle. 16 hours seems to be the magic time to optimize a fast to benefit your gut microbes and immune system. As night approaches - our ability to digest shuts down and prepares us for rest and recovery. If our body is tasked with processing a heavy dinner or late night snacks - we digest the food less efficiently & get less quality sleep. The human body evolved for thousands of years without 24 hour access to food. It was not unusual to go for extended periods without food - sometimes 24+ hours at a time. If our metabolism was built for one thing - it is built to fast and go for reasonably long periods of time without food. Metabolism is stressful to the body - even healthy eating is associated with a degree of collateral damage. This was why caloric restriction was the darling of longevity studies for years. When you eat in line with your biological clock, metabolism is less stressful. You’re body is much more sensitive to insulin, and is not as subject to wide swings in blood sugar. The swings in blood sugar - or as researchers are calling "glycemic variability" - is a dominant predictor of how well one person will age over another. I was so impressed with the importance on glycemic variability that I now use Ceylon cinnamon, Berberine, Bitter melon, and my favorite, a medicinal mushroom blood sugar blend from Host Defense mushrooms that contains Gymnema & Cinnamon to help my body minimize swings in blood sugar. I don't take all four at the same time, but I mix and match based on what I have on hand. Berberine was recognized first as a natural antimicrobial, but more recently was recognized for its blood sugar benefits. And, even more recently was discovered - berberine can feed healthy bacteria growth too. Because your stomach and digestive glands are not overworked - you produce optimal amounts of enzymes and gastric secretions - and the whole system moves along like a well-oiled machine - achieved by just fasting for 12-16 hours a day. Recently, we also discovered that our immune system & stem cells function best with extended fasting periods. These periods allow us to stop focusing on digesting food in the gut - and focus on digesting damaged cells and regenerate healthy ones in their place. So this recovery and regeneration is an important part of the fasting hours that was previously overlooked in a “calories in, calories out” model of metabolism. When food is fully digested. It is broken into components that are digestible, and non-digestible. Non-digestible starches and fibers are then fermented by our beneficial bacteria. These starches and fibers act as fuel for the healthy microbes. In the process of breaking them down, the bacteria give us very valuable byproducts in return. These byproducts include short chain fatty acids like butyrate that act as fuel for our intestine, immune cells, and other beneficial bacteria. Breakdown by-products also include a number of vitamins and antioxidant compounds that also provide health benefits to our entire system - not just the gut. Fasting allows your bacteria to fully ferment and breakdown your food, produce these healthy byproducts, feed bacteria, transport wastes, and maintain a healthy gastrointestinal eco-system. I also take enzymes with most meals to help support a full breakdown of foods and assist this process. My one-two punch is taking Complete Digestion or Critical Digestion by Enzyme Science to support digestion in the stomach right before, and/or during a meal. Critical Digestion is the stronger, but both are very popular products. My secret sauce is that directly after a meal, I will combine 1-2 capsules of those products with Enzalase by Master Supplements. Enzalase is unique because it is released later in the digestive tract and will aid digestion past the stomach. Other enzymes generally work at the level of the stomach and work systemically when taken on an empty stomach. For poorly digested food that makes it later in the digestive tract, Enzalase is more likely to help. Lastly, a particular protein-heavy meal, I add Betaine HCl to aid in more protein-dominant digestion. If I’m concerned with gluten-exposure while eating out or traveling, I’ll take Gluten Manager. So while enzymes are definitely helpful, they are intended as supplements - not be-all solutions. Intermittent fasting (and healthy anti-inflammatory diet) promotes full & proper digestion on a day-to-day basis without the use of supplements. Enzyme supplements are just a bonus that I choose to take as I know the importance of promoting all phases of digestion & feeding my gut bacteria. Intermittent fasting is a keystone habit I’ve developed to optimize digestion daily at the times when my enzymes and metabolic processes are naturally at their best. 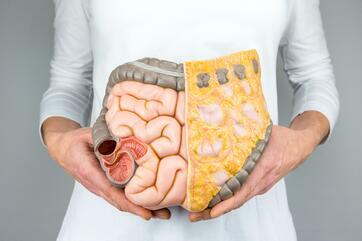 When it comes to the gut, fasting does wonders for motility, cell rest and recovery, and promoting the growth and development of healthy gut bacteria. But my results did not end there. Get a handle on my cravings. This is one of the more rewarding aspects results for myself. I no longer feel hijacked by cravings for sweet or unhealthy food. In just 2-3 days of sticking to a fasting schedule - you’ll notice an absence of cravings for bad food. So the very thing that we fear is one of the first benefits you’ll notice. You’ll know that you’re on the right track by how you feel. I maintain fasting because of how good I feel, not because I’m gritting through a daily struggle of hunger. In fact, sometimes, you’ll forget that it’s technically time to eat. Some of the mood benefits are because your eating schedule fits in so much more nicely with your sleep schedule. You get more deep sleep cycles, your gut is able to rest, and your brain and immune system are able to do some clean-up work. My head is super clear. Mental fog often comes back to the health of the gut. When you overeat, you promote inflammation and leaky gut. This “leakiness” can also be associated with a “leaky brain”. Leaky brain allows inflammatory proteins and immune complexes to pass across the blood-brain-barrier. You feel this process as mental fog. I’m better connected to how healthy and unhealthy food makes me feel. I notice that if I go off of my schedule, or eat crappy food. You’ll quickly notice how certain foods hijack your cravings. You can maintain a consistent fasting schedule for 5 days, and on a cheat day consume some pizza or ice cream. The next day you’ll realize that you’ll start craving sweets or food hours earlier during the next day’s fast. You’ll notice that your bloated, gassy. That your skin is puffy. And, that your weight shot up 3+ lbs in just one day. Because eating unhealthy costs me some mental clarity, mood balance, and shoots me off my weight goals - it becomes its own motivator to choose better foods even on my non-fasting days. You want to make sure that you're still eating ample calories within your eating period. If you drop weight too fast from lack of calorie intake - you'll end up with the same yo-yo results you see with conventional dieting. This is why fasting 5-6 days out of the week and allowing 1-2 cheat days can be helpful. You keep your thyroid guessing. You'll notice your weight will swing up 2-5 lbs after a non-fasting day. This is typical due to water retention or inflammation - not because you're truly packing on the pounds. A healthy rate of weight loss is 1-2 lbs per week. You might lose 5 lbs, then gain 2 lbs, then lose 2lbs and gain 1 lbs, in that kind of cycle - until you level out to a personal healthy weight as you see in my own chart above. My plan to drop another 2-5 lbs will be to build more lean muscle and to control my glycemic variability more tightly using the blood sugar supplements above. Tightening up sleep habits will also go a long way! Health is more than a weight scale. With fasting, weight management is just one of the MANY benefits. My favorite ROI from intermittent fasting is knowing that I'm charging my mitochondria day-in and day-out. Our mitochondria are the energy-producers of the body - arguably, mitochondrial health in the number ONE factor for healthy aging. With intermittent fasting, I process food much more efficiently - and promote less cellular aging as a result. Long-term, it helps to know that intermittent fasting is associated with less risks for autoimmunity, inflammation, cancer, mood disorders, cognitive decline, hypertension, & cardiovascular disease too.